Eminence Hair Design is a professional hair salon serving the Treasure Coast with exceptional services to exceed the most demanding standards in today's society. You will love our comfortable location- we've created a relaxing and mellow environment just for you. Take your mind off the stresses of life and treat yourself to a pleasant and calming experience. We also offer amenities including ample parking, complimentary refreshments and personalized attention to make your time with us more enjoyable. Experience our most relaxing and most exfoliating skincare service we have to offer. 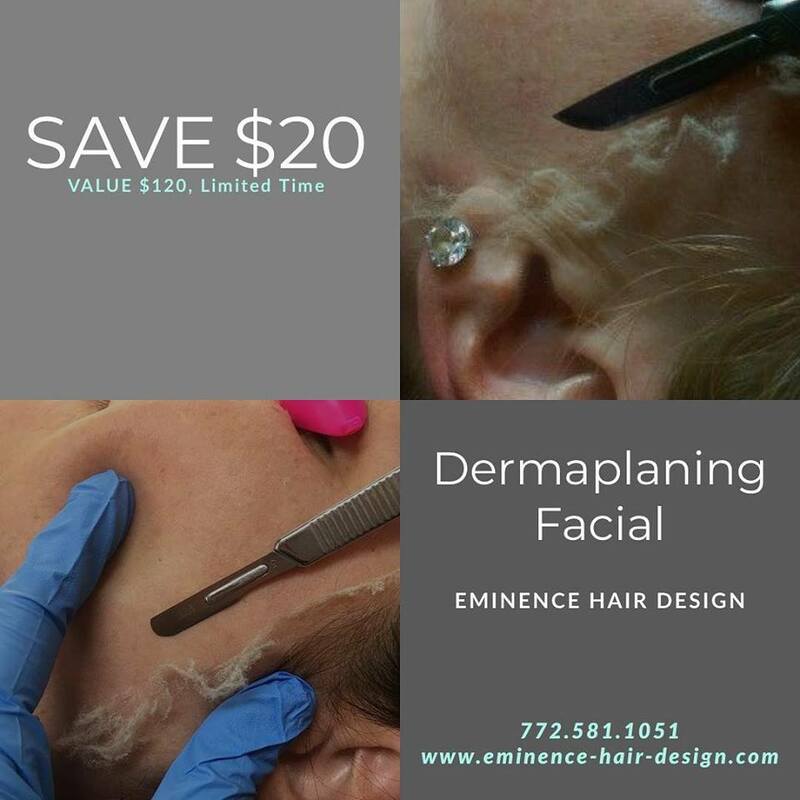 Our dermaplaning facial is a two in one service that gently exfoliates while removing dead skin cells, vellus hairs and alters hyper-pigmented skin while also receiving a deep-moisturizing mask. For a limited time, take advantage of this special pricing and make your appointment today! View our services and prices that fit any budget. See what you can expect from our professional team. Send us your resume to be on Team Eminence! Stylists, Aestheticians, Make Up Artists, and more! "Best hair, skin and make up in three counties." "I couldn't have asked for a better set of women to make me look and feel beautiful on my birthday!"